Easter is one of my favourite holidays. In Australia, Easter falls in the middle of Autumn so the temperature is usually perfect to get all the family around for one last pool party before it gets too cold. Aside from the religious meaning, Easter to me, is also about spending time with loved ones, eating chocolate and having fun. I love throwing holiday themed parties because I really enjoy looking through all the amazing ideas people come up with and trying them out myself. 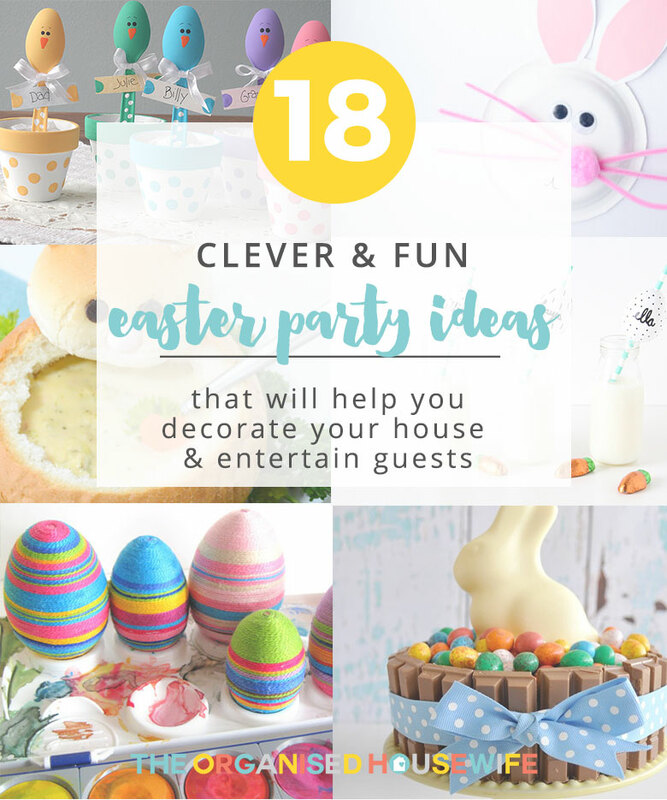 I’ve put together some Clever Easter Party Ideas that I have found recently will help you decorate your house and entertain your guests this upcoming Easter season. 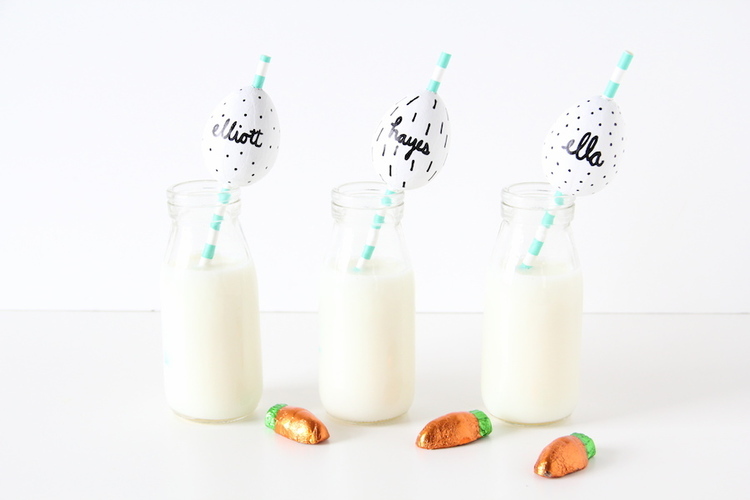 EASTER EGG STRAWS -These egg straws will be fun for the kids (and adults) to enjoy. You could even make them plain and let the kids decorate their own! They are super easy to make and the best thing about them is they are totally customisable. Do whatever you want with them! Find And We Play’s idea here. 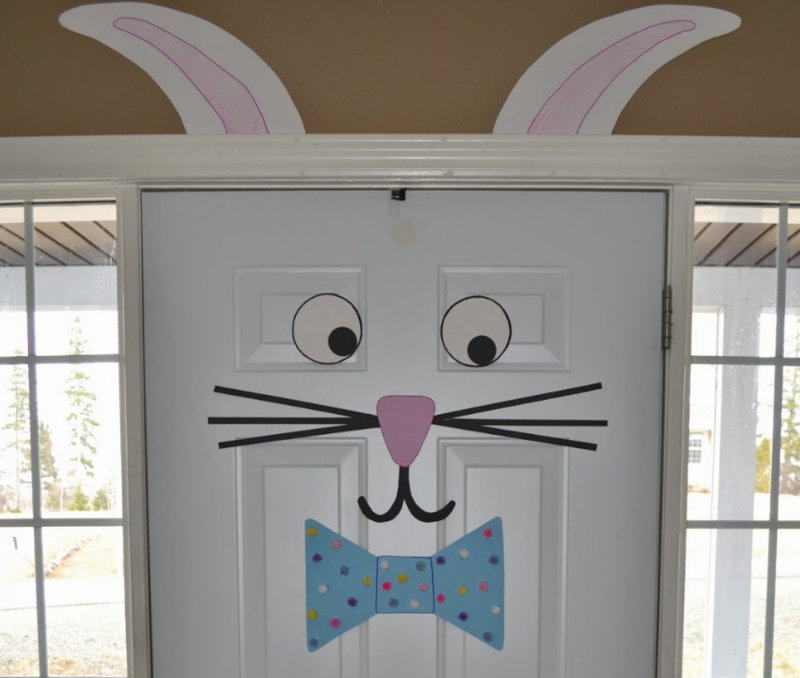 EASTER BUNNY DOOR – She used bristol board for the ears, eyes, nose, whiskers and bow tie. The kids will love helping decorate the bow tie. Find East Coast Mummy’s idea here. COLOURFUL PLACE HOLDERS – These are super cute place holders that the kids will love and the adults will smile over. Find Crafts By Amanda’s idea here. 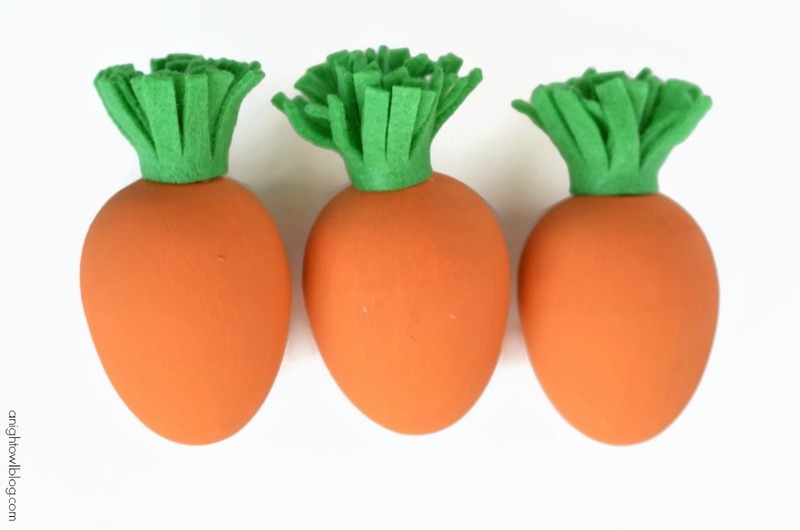 DIY CARROT EASTER EGGS – So very fun and inviting. Scatter them around the table top for a cute effect. Find A NIGHT OWL’s idea here. 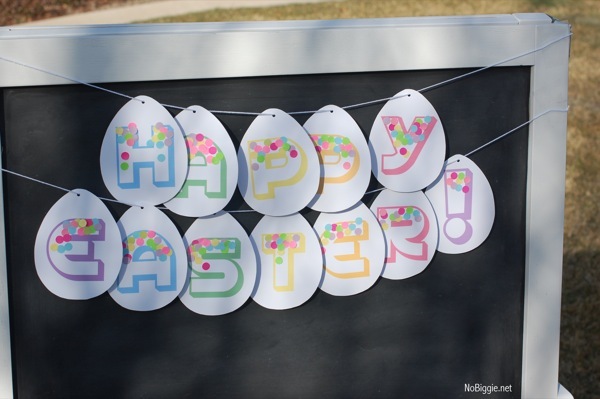 HAPPY EASTER BANNER -If you plan on hosting an Easter brunch or an Easter Egg hunt, this simple banner would make for a happy welcome. Find NoBIGGIE’s idea here. BALLOON AND FLORAL GARLAND STRING – Balloons make people happy. Give a child a balloon and watch her face light up with delight and joy. 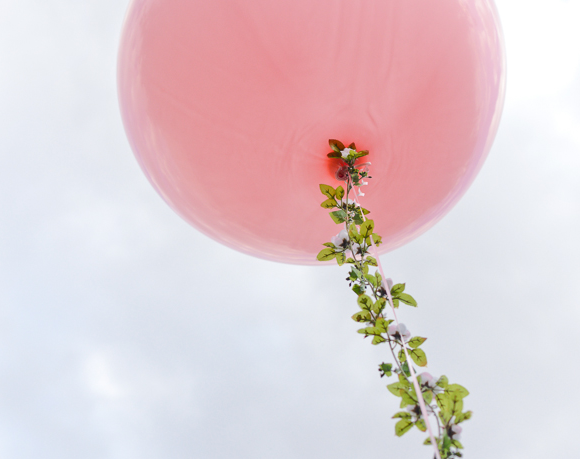 Add floral string to the end of balloons and feature them inside or around your backyard. It’s a cute decoration. Find tikkido’s idea here. 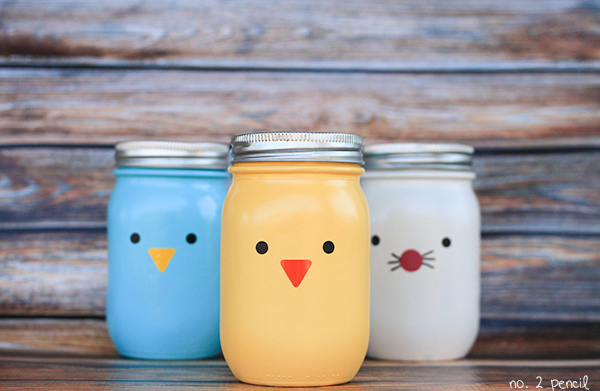 MASON JARS – These Easter Mason Jars were easy to make and they would be perfect as vases or candy jars. Spray paint is perfect for a fun and easy craft like this but if you want a permanent paint finish, you should try glass paint. Find No. 2 Pencil’s idea here. PIN THE TAIL ON THE BUNNY – Forget the donkey this year my friends! 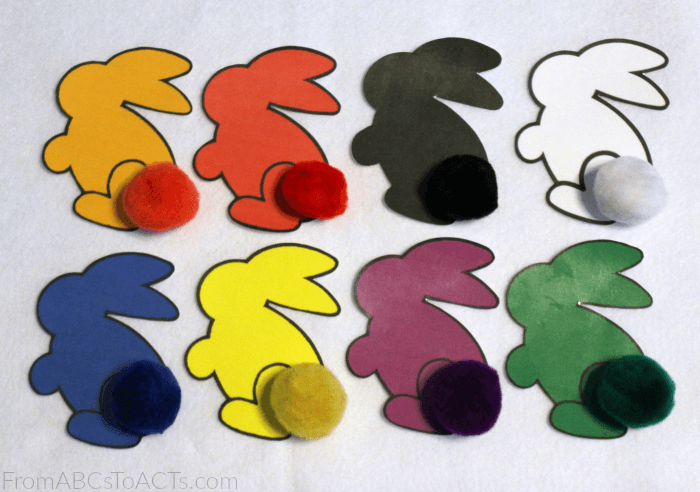 This year, we’re playing a fun, coloUr matching game of pin the tail on the bunny! Find From ABC’s to ACTs idea here. 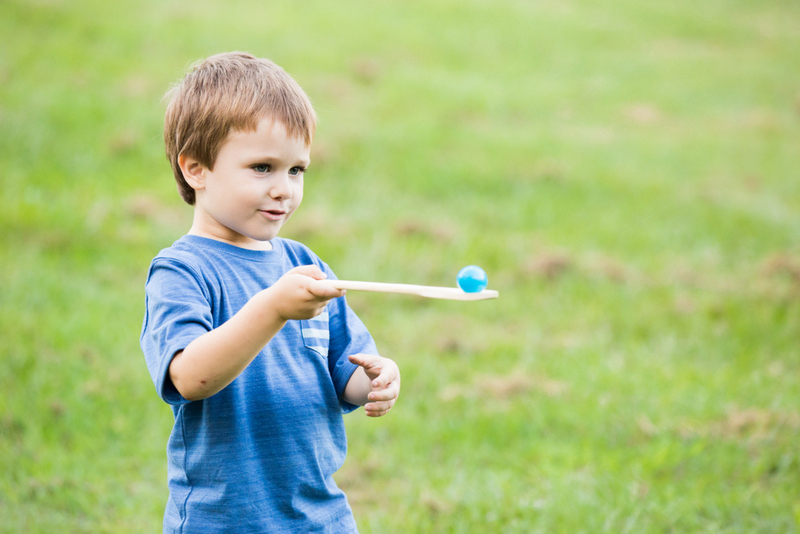 EGG AND SPOON RACE – Fun for the kids and the parents! Mark a start and finish line and get everyone to balance a chocolate egg, boiled egg or mini water ballon on a wooden spoon in front of them. If the egg falls, the contestant must stop and pick it up before continuing on. 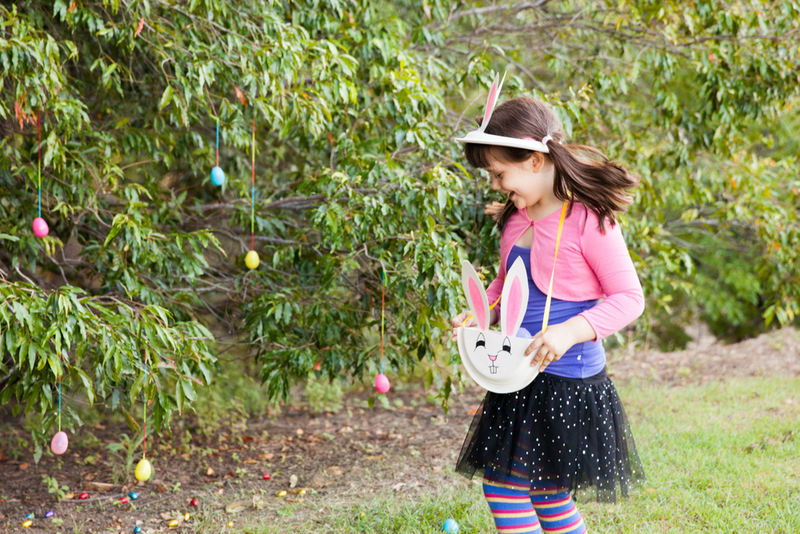 EASTER EGG HUNT – Be a Fun Mum offers a few of her Easter Egg hunt tips. I like the sharing policy! Find Be a Fun Mum’s idea here. 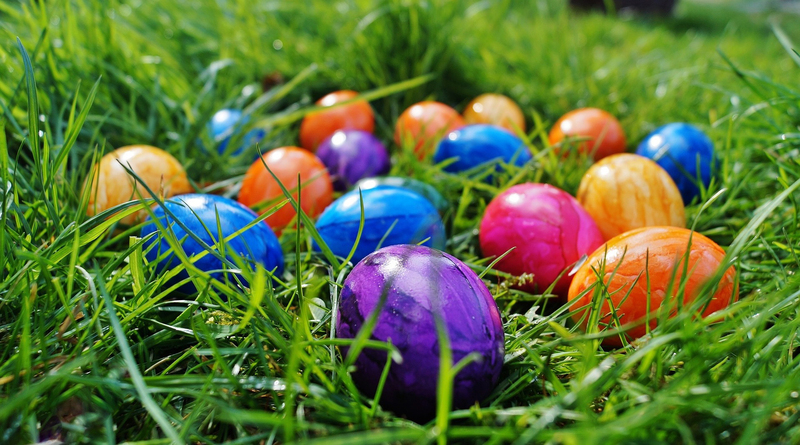 EASTER EGG BOCCE – In this version of the classic Italian lawn-bowling game, the object is to see which player can get his egg closest to the “pallino,” or in this case, a plain white egg. Each kid should get two eggs that are the same color. Find the game here. 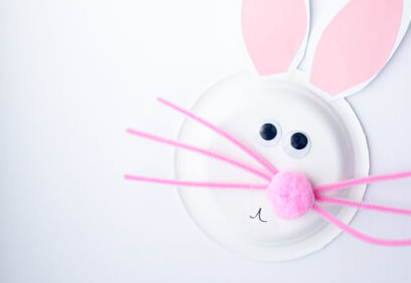 EASTER BUNNY PAPER PLATE – These are pretty simple to do and are a perfect Easter craft for your toddler to do because of the simplicity! Find The Best Ideas for Kids’ idea here. 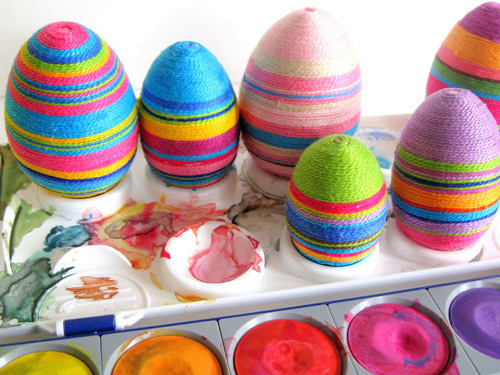 EASTER EGG DECORATING STATION – What is the first thing that comes to your mind when you think of Easter? Eggs! 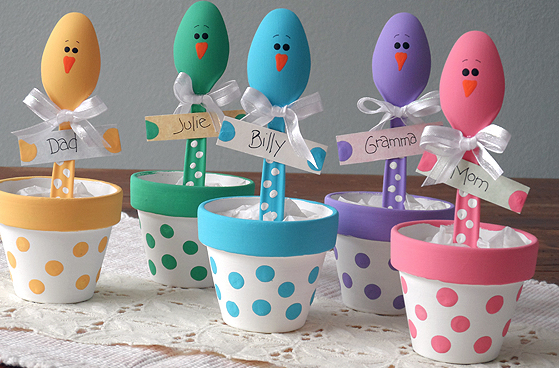 An egg decorating station is the perfect way for kids to unleash their creativity. Provide paint, confetti, glitter and pens and help your kids make special patterns on eggs or paper. Here are some egg decorating tips here. 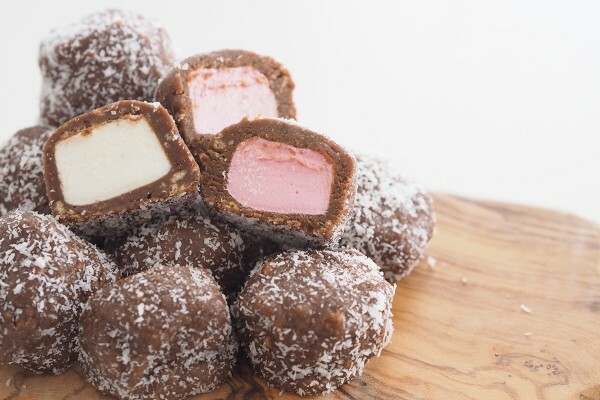 MARSHMALLOW BALLS – These can be made a week ahead. Store in an airtight container in the fridge. Nice little treat to add to the table. Find the recipe here. 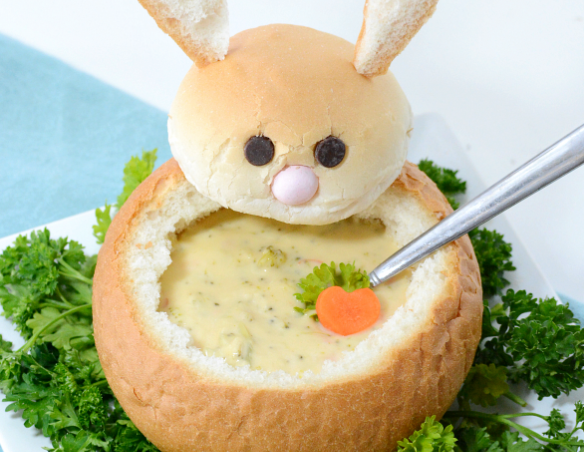 EASTER BUNNY BREAD BOWL DIP – Ooh goodness me, I think this Easter Bunny Bread Dip Bowl may be THE CUTEST food serving idea I have ever seen. I really want to try serving this with a delicious dip when we entertain this Easter. Find the recipe here. 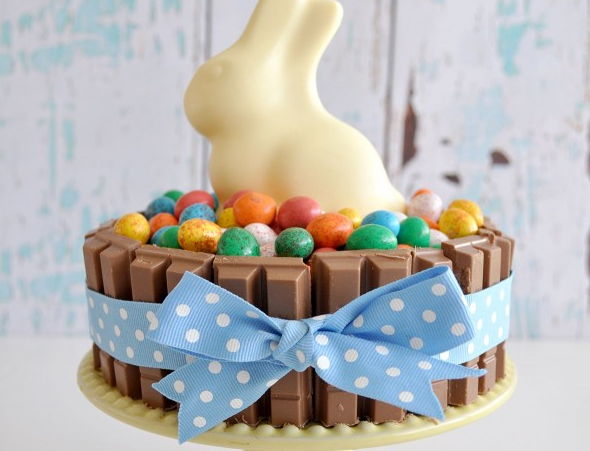 KIT KAT CAKE – A great Easter morning tea idea would be an Easter Kit Kat Cake. It’s so simple and can be assembled within 15 minutes, give or take your perfectionism. Find the recipe here. 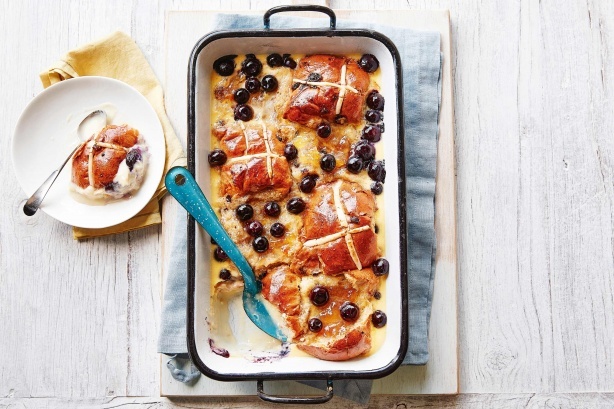 LEMON BLUEBERRY HOT CROSS BREAD BUTTER PUDDING -Put an Easter spin on the classic bread and butter pudding with this speedy recipe. Find the recipe here. 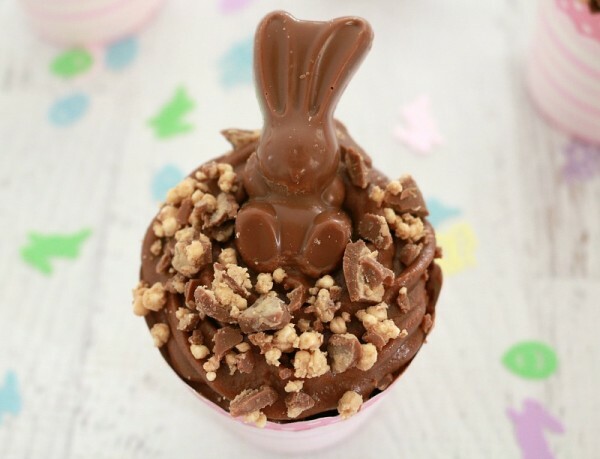 EASTER CUPCAKE IDEAS – I have found some more clever decorative easter cupckae ideas which I have shared below. Find the ideas here. What do you do at your Easter get togethers?